Westmed's OBGYN team is nationally recognized for delivering expert service in all areas of women’s health. Our highly skilled team of obstetricians, gynecologists, certified midwives, lactation consultants, and other professionals support patients through general well care, pregnancy or treatment of gynecologic conditions. Geneveve™ is a treatment that stimulates the body’s own renewal response to gradually restore healthy collagen and give soft tissue a more youthful tone and resiliency. Geneveve™ is a clinically-proven, 30-45 minute single-session treatment, that safely and comfortably revitalizes vaginal tissue. 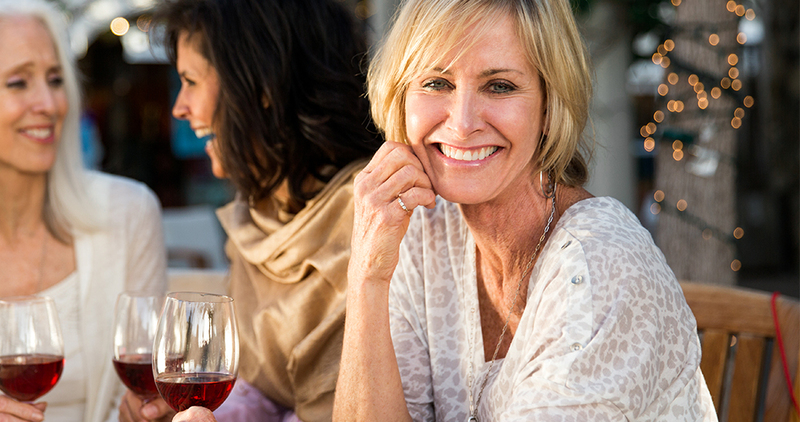 Patients experience a significant improvement in vaginal laxity, lubrication, sexual satisfaction and urinary incontinence. Just like skin, vaginal tissue is made up of collagen fibers. Over time, the collagen can lose its strength and shape, creating a feeling of looseness (laxity), especially around the vaginal opening. Common causes of vaginal laxity include childbirth, other physical stress on the tissue, aging, genetic pre-disposition and lifestyle. Urine leakage, especially when coughing, sneezing, jumping, etc. Talk to your doctor if you are experiencing these symptoms and think Geneveve™ is right for you. Geneveve™ is the only single-session treatment used to promote vaginal collagen renewal. The treatments unique deep heating and surface cooling process is the first of it’s kind. Geneveve™ does not require any numbing or anesthesia. The treatment includes cooling technology that protects the tissue, giving patients a very comfortable and safe experience. In most cases, insurance does not cover a procedure like the Geneveve™ treatment. The treatment is considered an aesthetic procedure by insurance companies and does not typically fall under the category of “medically necessary”. However, we recommend that you first check with your insurance carrier to confirm coverage.